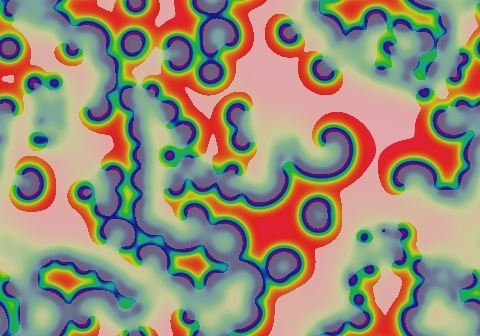 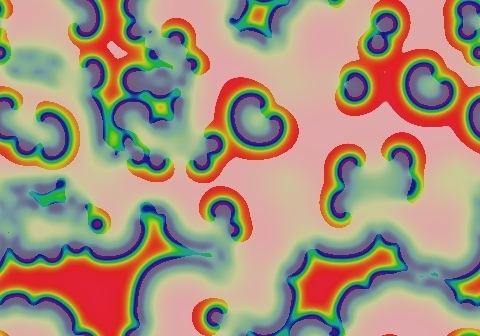 These images and movie demonstrate the behavior of the Gray-Scott reaction-diffusion system with σ=Du/Dv=2 and parameters F=0.0140, k=0.0490. 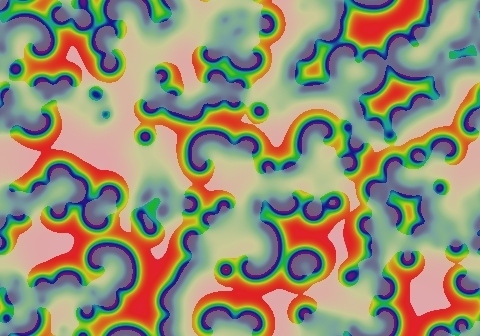 Spots grow with smooth outer edges; when two growing edges meet at an angle, defects arise that can give birth to new spots after the surrounding waves annihilate each other. 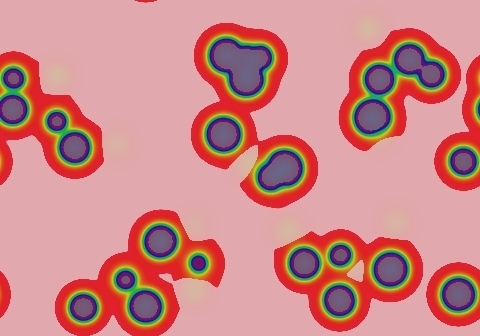 Spots, "C" shapes and small spirals continue to replace one another indefinitely.